You know those evenings when you don’t want a salad. You just want to sit down with a big. bowl. of pasta. Then maaaybe you should try this. Here’s the basics of what you’ll need. So, first you boil your pasta as directed on the box, al dente. Drain the pasta and dump it into a big bowl. Then you’re gonna start the turkey sausage in a pan on the stove. Meanwhile, saute some minced garlic in butter or oil. Then grab a huge handful of fresh spinach because we’re gonna cook it in the same pan. As the spinach sautes, I drizzle it with chicken broth, for a bit of moisture as it sautes. To the spinach, add salt, pepper, and other seasonings you like. 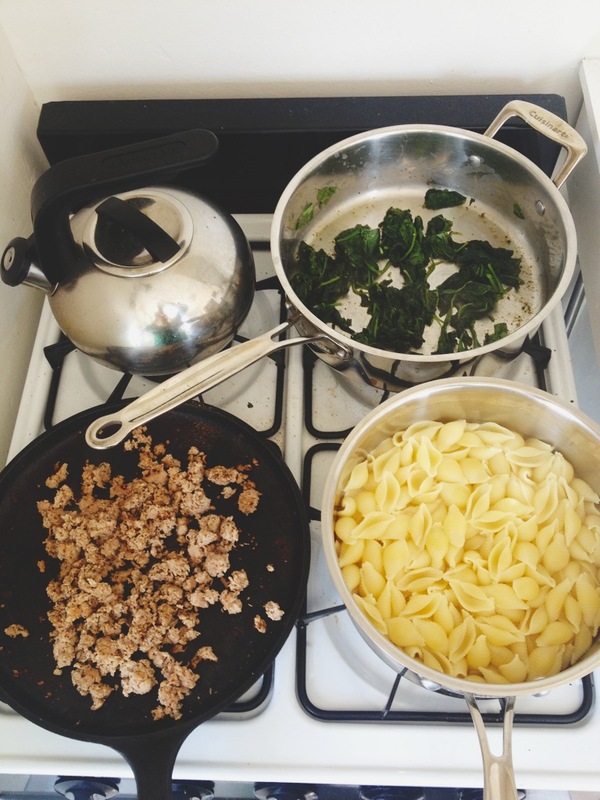 Once the sausage and spinach are done, toss them into the bowl with the pasta. Now, options… There’s a few ways you can prepare this! Just add chopped fresh basil, oregano, olive oil, salt, pepper, and grated parmesan. Add tomato pasta sauce for a zesty tomato-y dish. Add alfredo sauce, for a rich creamy dish. 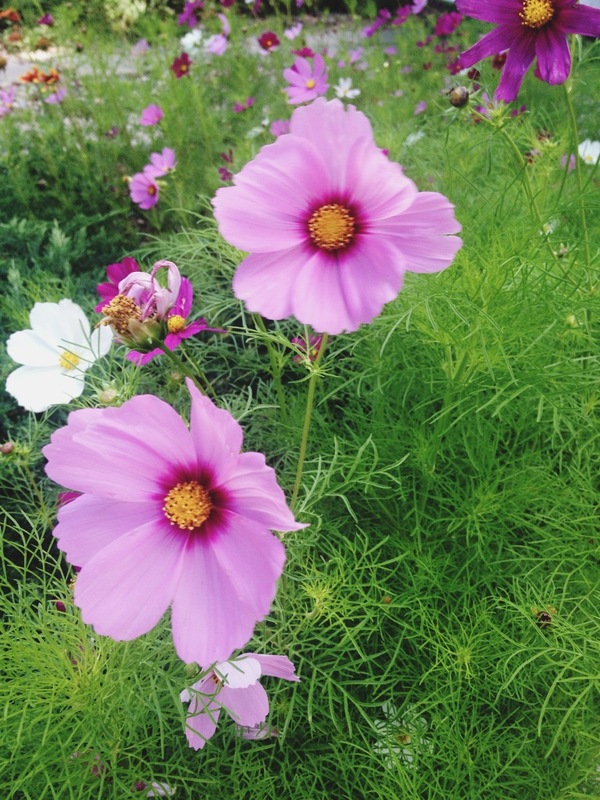 And here’s some summer beauty for ya. I took this photo the other day, realizing summer is coming to an end way too fast. Hopefully these warm days stretch out into late September.. fingers crossed. In the meantime, make the most of your SUMMER, friends!